This year we will be adding a new Masters division to our Summer League. Registration is now open for our Masters”league and you can sign up as a Free Agent. The league will be composed of 4 Teams and all players must be ages 32+ (email me for exceptions). The league already has 3 teams that have 15 players each. We will be creating a house team of 24 players and then also helping the other 3 teams fill in the ranks. We will be posting more details in the next week. We are back in action this Sunday at Kell High School. I know that everyone is itching to play Lacrosse, we’ve been off for two weeks with a rainout and Easter weekend, but it looks like the weather will be great this Sunday! We will also be handing out jerseys so please arrive to your game 15 minutes early so you have time to get one. We are looking to reschedule the rain out and will send out an update soon. Men’s League Rosters & Schedules have been Posted. We have room for 10 more players in the Men’s division. As of now we have 29 players registered for the Women’s League, which includes 1 Goalie and we just confirmed that a second Goalie has committed and will be registering soon. I spoke to a few of you and we’ve decided that we need to have 36 players signed up to move forward with the games. This means each team would have 18 players, which is light, but doable and I am sure we can pick up a few players along the way to fill in the ranks. Please help us spread the word and tell your friends that Friday is the absolute last day you can sign up. Saturday morning we will be emailing the group on the final decision if we are moving forward. Tentative Rosters are posted so you can see the teams you are assigned to in TeamSnap. If we play Week 1 we will have a game at 12:30 PM, but the games will go back to 11:30 AM for Week 2 as long as the Grass field is playable for the Men’s Side, the Women will always play on the Turf. We are now only 6 days away from the start of our spring season. Tonight we will be assigning rosters and making the teams for the Men’s division. Right now we have 80 players registered so each team will feature around 20 players. If you have any friends that want to sign up they have to do so soon to guarantee them a spot. More communications will be sent out tonight once rosters are posted, if you need roster changes please email: Shaun@atlantalacrosseleague.com directly. Right now we are still short players to have the women’s division. We only have about 27 players registered and that is not enough to play. Our plan is to keep registration open until Wednesday to see if we see a last minute push in sign up. The minimum number of players we need is 40. We have a few options that we will be sending out in a separate communication, specifically inquiring if a 7 vs. 7 league would appeal to anyone. If we decide to cancel the women’s league refunds will be issued on Friday and will take 2-3 days to be credited to your account. Thank you for choosing to play with us this spring, more details to follow soon! 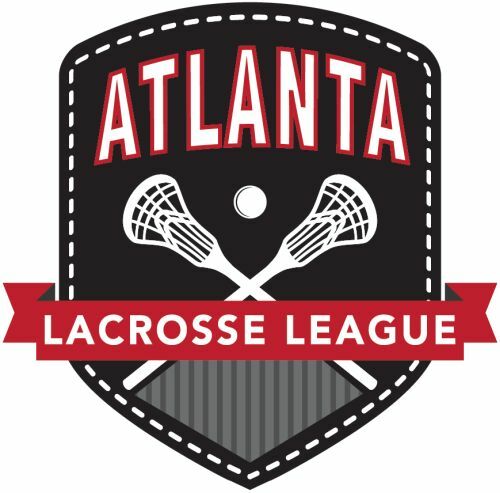 We are proud to announce that we will be bringing back the Spring Lacrosse Season in Atlanta! For the spring we hope to have 4 men’s teams and 2 women’s team. The men’s teams will max out at 28 players per team and we will randomly be creating the teams. The goal is to have an even mix of younger/older players and of various age ranges. If you want to play with friends we will group up to 5 friends together, but that’s it. The goal is to have a fun relaxed game on Sundays so we hope you will come out and join us! Who: Men & Women – Ages 18+ – The Spring League is for adults with Lacrosse experience. Where: Kell High School, times will be in the morning around 10:30 & 11:30. Why: Because you want to LAX. We will start our summer league the week after spring on June 2nd. We will then be running our Summer Lacrosse League for 7 weeks on June 2, 9, 16, 23, 30 & July 7, 14, 21. Play both league and join us for 13 weeks of Lacrosse!